Introducing 4D Genie 2, our latest web based software! We’ve recently started rolling it out to all new sites and to those of you who have chosen to update your software at an annual site visit. The feedback so far has been brilliant. 4D GenIE 2 allows you to do all the things you’re used to doing i.e creating themes, adding content etc. but now there’s so much more and we’re so excited to let you know a bit about 4D GenIE 2 and what you can expect from this latest update. The new software is now completely browser based, meaning you have all the functionalities of the old software – editing themes, adding content, creating new themes, creating groups (…the list goes on)…but you can now access it from anywhere; your classroom, the staff room or even the comfort of your own sofa at home, without having to be based within the immersive space. One of the main differences is that there are two separate areas depending on whether you’re in your immersive space or are using the software elsewhere. Room Control – this is the part of the software that you will access to start using your immersive space. It gives you complete control over what is happening there and then. 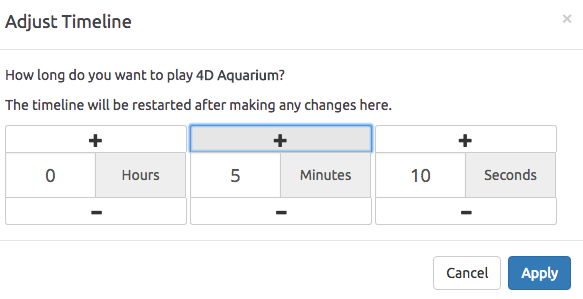 So, you can play themes, control the lights, volume, play timelines and more. Content Manager – this is the area you can access from anywhere and allows you to do a lot of your planning and preparation before your immersive session such as upload content and create new themes. Because all the content is now stored in the Cloud, it means that the software will detect when new content has been added. When 4D GenIE is loaded onto the computer in your space, it will automatically find new content andyour libraries. But just to make sure, we’ve also added a Cloud button in the Control Interface which, when pressed will do a quick scan for new content and sync to the Cloud to draw it in. What’s more, each 4D theme that is preloaded now comes with much more additional content for you to play around with and create new environments from the content libraries. 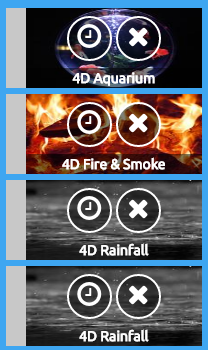 Each 4D theme has 10 additional images within the projection library to explore and create new themes by mixing and matching content. 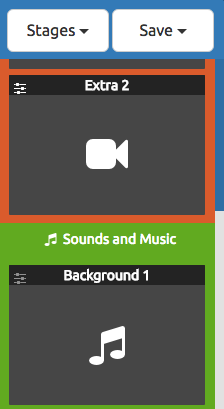 There are also lots of Sound Effects in the ‘Sounds Library’ to add quirky elements to your themes which you may not find in the preloaded themes. The Stage Area is now alot easier to manage, without hopping between libraries and stage. It all appears on the same page, you simply have to scroll down the page or filter at the top to show which area you want to drag and drop content into. 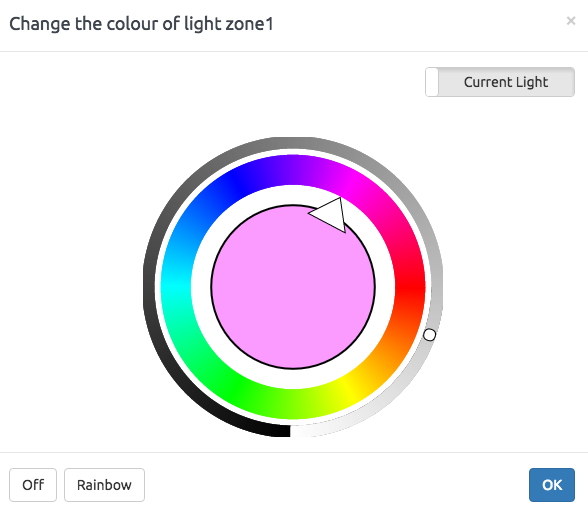 Our new colour wheel adds fully customisable lighting settings, allowing you to pick the exact colour you want and what shade it is. Simply select the paint brush tool and the colour selector appears on screen. 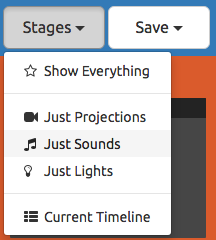 Timelines are also a lot easier to create by dragging and dropping content into the Stage Area. You can easily change the times that each theme appears for using the clock tool. Switches can be assigned simply by dragging the colour you want onto the timeline (or any piece of content) and selecting what function you’d like it to have, giving you flexibility in how you control the space. Uploading content has never been easier! No need for USBs in the main computer in your immersive space, so you can be sat at home or browsing the internet for new content and add it straight into your content libraries to create themes from. 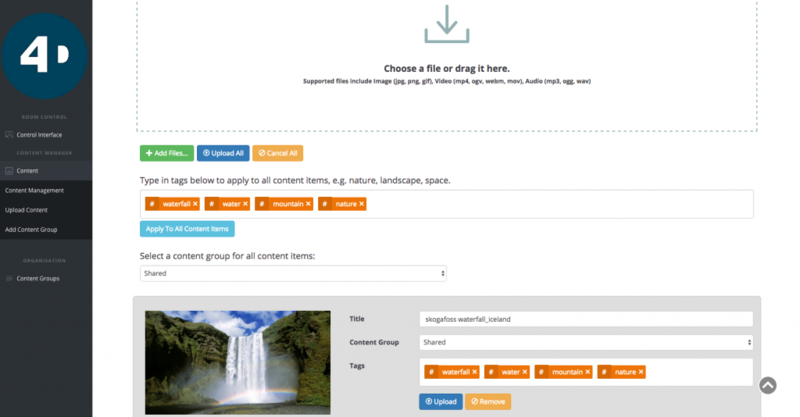 You can upload videos, images and sounds all together and add tags to each piece of content all at once to easily find your content again in the libraries. Play videos straight from Youtube! And finally, you are now able to play videos straight from Youtube in your immersive space. There’s a really simple process that allows you to Copy & Paste the Youtube URL into your selected Projection Stage Area. 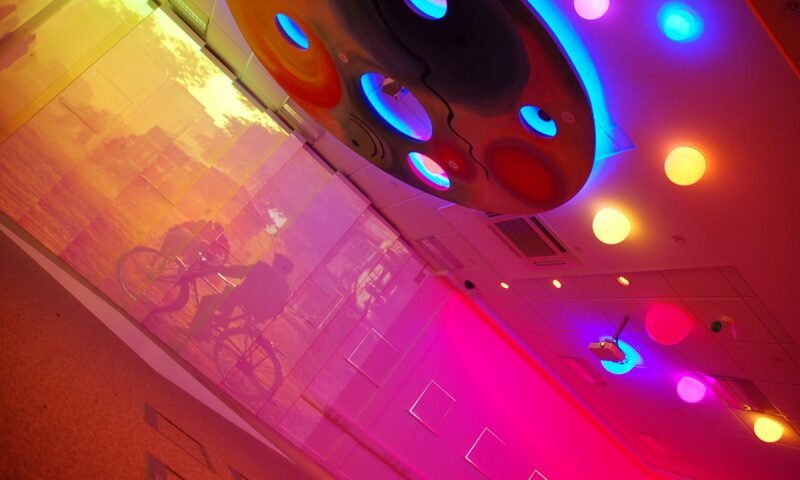 It will then automatically play the video on the wall or floor (whichever you’ve selected). It really is amazing! 4D GenIE 2 is modular, meaning you can keep adding screens and rooms to it when necessary. And because it will work with pre-existing technology, we’re are now offering this as a software only solution. Next PostNext Could you be our next Software Developer?